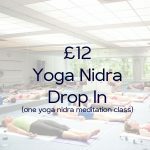 £99/month for 12 months of unlimited hot yoga, yoga nidra, restore & renew and yin yoga. This is the perfect card for you if you are practising 3 classes or more a week or a minimum of 10 a month. This is a 12 month rolling contract: there is a 2 month written cancellation policy, so, if you need to cancel the contract prior to 12 months, please send us an email to studio@bychotyoga.co.uk. Two further payments will be taken and your membership will remain live until the termination date, which will be confirmed with you via email. As this is a rolling contract, if you do not cancel the contract once you have fulfilled your 12 months, the contract will simply continue. You can email us with a 30 day notice of termination, should you not wish to renew your contract. PLEASE NOTE: With both 12 month Autopay options, you can request a specific start date. The date you choose to start will then become the date your payment is made every month (i.e. if you start on the 5th of January 2016, all future payments will be taken of the 5th of the month). All our class cards are non refundable & non transferable. You can freeze your Autopay once in a 12 month period for a 1-3 month period of time. During this time you will be charged £25/month (£20/month concession price) instead of the full fee. Congratulations you are picking our second best class card, want to know the winner economically speaking… The Yearly Unlimited!